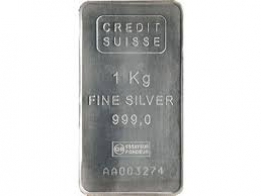 1 kilo PAMP Silver Bullion Bar 999.0 Fine - investment grade silver bullion. PAMP is one of Switzerland's primarly precious metals refineries, and they produce a number of precious metals bars in gold, silver, platinum and palladium that are popular with precious metals investors. 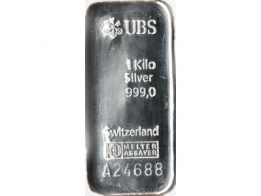 These PAMP 1 Kilo silver bars are very beautifully made, and popular not only as a silver investment, but also to collectors. The front side of the bar features the PAMP logo, with the weight, fineness and serial number of the bar. 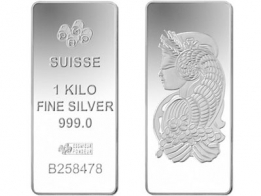 PAMP 1 KG silver bars come with a serial number and a separate certificate. These bars are extruded, not minted. The PAMP Fortuna series is the most popular series produced by PAMP. PAMP Fortuna bars are available to investors in gold, silver, platinum and palladium. PAMP silver bars are available in a range of sizes, from 2.5 grams to 1 Kilogram, however the Cast PAMP silver bars is only available as a 1 kg silver bar. Please contact us to sell 1 kg PAMP silver bars.